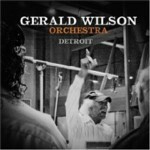 The Gerald Wilson Orchestra comes out swinging on this CD, recorded in New York with an all-star cast. From the opening "Sax Chase, Wilson and orchestra wend their way through eight Wilson originals and reworkings of two standards, Miles Davis' "So What and Cole Porter's "Love For Sale. The octogenerian leader pays no attention to the numbers in his age. The music he writes, arranges and conducts is fresh and vital. This is big band music at its best, full of energy and excitement. Much of that is due to the band's personnel and numerous notable solos. For example, listen to Jon Faddis' fiery reading of "Lomelin, Russell Malone's lovely guitar work on "Musette, and Peter Washington's impressive bass solo on "So What. Wilson created the same energy and excitement at a recent performance at Rose Hall where he conducted the Lincoln Center Jazz Orchestra. 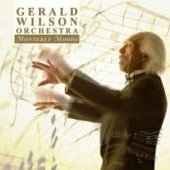 The evening included many of the compositions from the CD, and though the personnel was entirely different (with the exception of trumpeter Sean Jones), the orchestra was defined by Wilson. Starting out with a waltz, "Blues for Yna Yna, the musicians proceeded to swing through one tune after another. Saxophonist Ted Nash and drummer Ali Jackson played notable solos and pianist Dan Nimmer lent some scorching leads. A highlight of the evening was Wilson's son Anthony on guitar, performing a beautiful reading of the ballad "Teri. The elder Wilson, as a arranger and band leader, excels because he can wring 125% from the musicians he conducts. 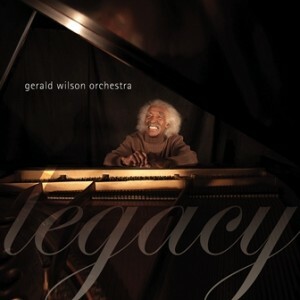 Gerald Wilson is a sorcerer. The magic he uses is love... for the music and for the musicians who play it. Track Listing: Sax Chase; Dorian; Ray's Vision of The U; Blues for Manhattan; Lomelin; AEN; Musette; So What; Love For Sale; Jeri. Personnel: Gerald Wilson: conductor, arranger; John Faddis: trumpet; Frank Greene: trumpet; Jimmy Owens: trumpet; Jeremy Pelt: trumpet (1,6,7,10); Ernie Henderson (1-5,8,9); Mike Rodriguez: trumpet (6,7,10); Sean Jones: trumpet (2-5,8,9); Benny Powell, Dennis Wilson; trombone; Kamasi Washington: tenor saxophone; Gary Smulyan: baritone saxophone; Ron Blake: tenor saxophone, flute; Steve Wilson: alto saxophone, flute; Jerry Dodgion: alto saxophone, soprano saxophone; Dustin Cicero: alto saxophone; Russell Malone: guitar; Lewis Nash: drums; Peter Washington: upright bass; Renee Rosnes: piano.